Shareholders of Korean Air Lines Co. on Wednesday voted against the reappointment of the airline chief Cho Yang-ho as director of the board. Seventy-four percent of shareholders attended an annual shareholders’ meeting held at the airline’s headquarters in western Seoul. Sixty-four percent of participants voted for Cho’s reappointment, a number that fell short of the two-thirds support required to pass the motion. 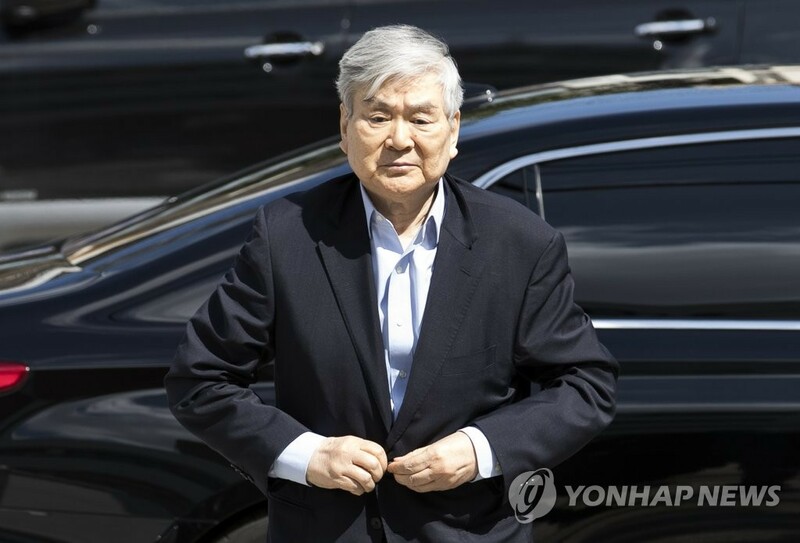 The National Pension Service (NPS), the second-biggest shareholder of Korean Air, played a key role on Tuesday by standing against Cho’s reappointment as executive director for another three years. The NPS cited Cho’s track record of “hurting the corporate value and rights of shareholders” as the reason for its decision. It is the world’s third-largest institutional investor, which manages 644 trillion won (US$576 billion) in assets. The news sent shares of Korean Air 2.47 percent higher at 33,200 won as of 11:23 a.m., far outperforming the broader KOSPI’s 0.10-percent loss. “Cho will retain his post as chairman of Korean Air but has lost his representative director position. So, he won’t participate in the decision-making process on the board of directors,” a company spokeswoman said over the phone. In July 2018, the NPS said it would adopt the stewardship code, a set of principles or guidelines aimed at getting institutional investors to actively engage in corporate governance to advance the interests of shareholders. Cho has been accused of dodging inheritance tax and embezzling company funds. His wife has been accused of multiple assaults on employees and illegally hiring foreign housekeepers. His two daughters also underwent probes by law enforcement last year on charges similar to those against their mother, including the eldest, Hyun-ah, who drew international attention for her “nut rage” incident in 2014. The NPS is the second-largest shareholder in the airline, with a stake of 12.56 percent, and the third-largest stakeholder of Hanjin KAL, the holding company of Hanjin Group, with a 7.34-percent stake. The largest stake, at 33.35 percent, is collectively held by Cho and his family members, along with those that maintain special relations with the company. Foreign investors own a 20.50-percent stake in the country’s biggest airline.